To book the bus, a deposit of $100 is required to secure the bus. This can be paid in cash, cheque, direct deposit into our account or via credit card. We accept Visa, Mastercard or Amex and Diners Club cards. To book the bus, a deposit of $100 is required to secure the bus. This can be paid in cash, cheque, direct deposit into our account or via credit card. We accept Visa, Mastercard or Amex and Diners Club cards. To use a credit card you can contact the office in business hours and pay it over the phone. There are not credit card facilities in the buses. The balance is payable before or on the day of travel, but if you are using a credit card to pay the balance, this needs to be paid on the last business day before travel. This can be done over the phone. Office hours are Monday - Friday, 9.00am - 4.00pm. we require 1 weeks notice. If adequate notice is given 90% of your deposit is paid. Without the notice as stated above the deposit is non refundable. balance, then you’ll need to pay on the last business day before travel – this can be done over the phone. Our office hours are Monday to Friday 9:00am – 4:00pm. 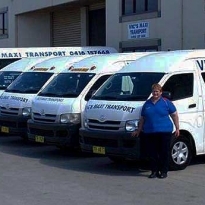 When it comes to bus charters in Sydney's Suburbs, Vic's Maxi Transport is the perfect company to call. 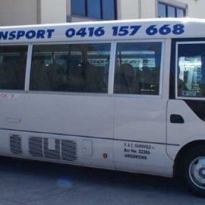 When it comes to booking bus tours in the Greater Sydney region, look no further than Vic's Maxi Transport for everything you need. 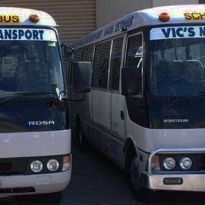 If you're looking for quality and efficient school bus charters in Sydney's Suburbs, then Vic's Maxi Transport has the perfect solution. 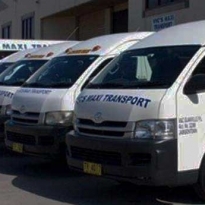 Vic's Maxi Transport also offers a reliable and high-quality disability transport service in Sydney's Suburbs. © Copyright 2018 Vics Maxi Transport - All rights reserved.